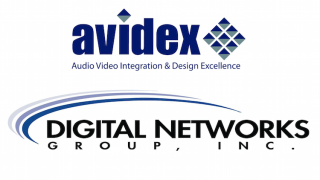 Avidex Industries LLC and Digital Networks Group Inc. have entered into an agreement under which Avidex will acquire Digital Networks Group (DNG). By combining the organizations’ mutual focus on the relationship with the clients, understanding their business, and maximizing the technology investments to increase productivity and profitability, the acquisition will allow for wider deployment of new solutions and an increased footprint and knowledge base to serve the corporate, healthcare, technology, and education verticals. The scale of the new entity will also result in greater product innovation, bringing new and advanced services to their clients. “The teams at Avidex and DNG are filled with the innovators of our industry,” said Shedan Maghzi, president of Avidex. “Representatives of each of these companies have architected some of the most revolutionary communications solutions ever created for some of the most advanced companies within their verticals. That spirit of innovation and focus on quality will live on, and it will create real benefits and great longterm value for our clients and the employees of both companies. “The acquisition of DNG will accelerate the growth and leadership of Avidex," said Mike Stammire, co-founder and president of DNG. “This agreement recognizes the unique value of DNG, and brings together two great companies that share a common philosophy of strong client relationships, operational excellence, innovative solutions, and a commitment to our employees.